Abstract: To reduce environmental pollution, alternative renewable energy resources have been explored for decades. Wave energy has a high energy density, high utilization time and no fuel costs, so it is considered as the most promising alternative to the fossil fuel resources. The number of studies of wave energy converters (WECs) has rapidly increased. This paper proposes a new method to achieve the resonant behavior of a point absorber floating buoy type of WEC using a mechanical power take-off system. By using the inertia characteristics of a hydraulic flywheel accumulator-based electro-hydraulic actuator to change the corresponding supplementary mass of the floating buoy, the total mass of the buoy was close to a match with the relatively low frequency of the wave, so that the buoy was in resonance with the wave. The specifications of the hydraulic flywheel accumulator system were proposed and studied. The working principle was analyzed, and a mathematical model was then derived to investigate the system operation. An experimental set-up was implemented to validate the mathematical model. Numerical simulation using MATLAB/Simulink was done to evaluate the operation of the system. Abstract: Enzymatic biofuel cells (EBFCs) that utilize glucose as fuel in a human body to produce electricity are being explored as promising alternatives to power implantable devices. However, some limitations need to be overcome to render such micro-electronic devices practically applicable. Here, we propose a microfluidic EBFC architecture with electrodes on both sides of the microchannel and its fabrication via stencil method. Multiwalled carbon nanotube (MWCNT) electrodes are fabricated on both sides of a Y-shaped microfluidic channel to reduce the effect of the depletion boundary layer and cross-diffusional mixing of the fuel and oxidant, which are functions of the distance from the microchannel inlet. Therefore, the microchannel length is reduced by half, while maintaining the same MWCNT electrode area. The microchannel is produced by polydimethylsiloxane (PDMS) casting whereas the electrodes are fabricated by a PDMS stencil, using MWCNT patterned on etched indium tin oxide glass. The electrodes are modified with glucose oxidase and laccase via direct covalent bonding. The cell performance is studied at different microchannel heights and flow rates, obtaining a maximum power and current density of 153 µW cm−2 and 450 µA cm−2, respectively, at a microchannel height of 450 µm and flow rate of 25 mL h−1. The double-layer EBFC shows a 23% improvement in the performance compared to a single-layer EBFC. Abstract: In the paper, a novel controller is proposed to reach better control performance for manipulator system with unknown dynamics. We notice the initial weights of neural network may have influence to control performance in neural network controller. A casual selection of the initial weights may cause poorer production quality and result in consumption of more energy. A natural way is to give neural network values close to the ideal values, which is developed through estimating system parameters by common adaptive controller. In the proposed controller, precautions are considered in case of large tracking error, neural network approximating capability is ensured, input dimension is reduced and a novel weights decay term is given. Simulation and experiment results show that these techniques result in improvement in accuracy and saving of energy. Abstract: The paper overviews the essential considerations in the manufacturing process of natural fiber composites which influence the performance of biocomposites. The evaluation of thermal properties of composites matrix and natural fiber chemical composition and physical properties appears to be necessary as the initial screening factors before the manufacturing process of biocomposites. On the other hand, considerations on fiber composition, type of manufacturing process and parameter used are seen as other crucial significant factors that need to be focused during the manufacturing of biocomposites. Moreover, the treatment used in the manufacturing process such as alkali treatment and coupling agent utilization should also be highlighted as additional important measures for better performance of biocomposites. In this review, all significant factors that influence the performance outcome of natural fiber composites are highlighted to provide the base-line source of literature for the manufacturing and production of composites sample. It is expected that the findings from the present study could further enhance the performance of natural fiber composites and able to become the preferred alternative or replacement for petroleum-based polymer in various industrial and commercial applications in the future. Abstract: The application of cutting fluid is required to enable efficient machining processes. Depending on the process, additives are used to adjust the performance of the cutting fluid. This paper presents the strong influence of nanoparticles and microparticles on the cutting fluid properties as well as the tribological behavior. The effects of the particle size, the concentration and the base fluid were investigated for two different metal oxides, Al2O3 and ZrO2, as well as silica. While most nanoparticles achieved an improved lubricity, the opposite was found for Al2O3. Abstract: Although Nickel-Titanium Shape Memory Alloys (NiTi SMAs) are used in a variety of applications due to their shape memory and superelasticity properties, their features of high ductility, temperature sensitivity, and strong work hardening render these materials difficult to machine. The viability of a new approach in improving the machinability through temperature control using chilled air system application was investigated. Differential scanning calorimetry was used to characterise material response to thermal loads. Microstructure phase identification was evaluated with X-ray diffraction. Micro-milling tests were performed using chilled air system and benchmarked to dry cutting and the use of minimum quantity lubricant (MQL). To augment lubrication, chilled air was also applied concurrently with MQL. Results indicated that the application of chilled air reduced cutting temperature and minimised burr height, while their simultaneous application with MQL further improved the machinability. Further investigation was conducted to explore the influence of the ploughing mechanism on machining performance and product quality. The results pointed to higher feed per tooth producing better outcomes. This paper puts forward a new hypothesis that the machinability could be improved by inhibiting or locking in phase transformation through temperature control, and optimising chip thickness, one of the principal parameters of size effect. Abstract: Performance of thin film solid oxide fuel cells (TF-SOFCs) were improved by inserting plasma enhanced atomic layer deposition (PEALD) of yttira-stabilized zirconia (YSZ) interlayers. By controlling the ratio between Y2O3 and ZrO2 in YSZ deposition supercycles, Y2O3 mol.% in YSZ films were changed. High Y2O3 contained PEALD YSZ interlayered cell showed higher maximum power density (123.6 mW/cm2 at 500 °C, 286.1 mW/cm2 at 550 °C) and smaller polarization resistance compared with reference Y2O3 concentrated PEALD YSZ interlayer cell. (108.5 mW/cm2 at 500 °C, 181.1 mW/cm2 at 550 °C) Exchange current densities of TF-SOFCs at 500 °C also improved ~ 59.3% at high Y2O3 concentrated PEALD YSZ interlayer cells. These phenomena caused by high density of oxygen vacancies in high Y2O3 concentrated PEALD YSZ interlayer, which helps oxygen incorporation reactions at cathode-interlayer interface. Therefore, cathodic polarization loss related with oxygen reduction reactions was decreased, and then, performance and exchange current density were improved. Results of this study imply that insertion of simple PEALD YSZ interlayer at cathode-electrolyte interface efficiently improves performance and electrochemical characteristics of TF-SOFCs. Abstract: We suggest a new type of membrane-electrode assembly (MEA) for polymer electrolyte membrane fuel cells (PEMFCs) to substitute the conventional Pt/C catalyst layer and carbon-based gas diffusion layer. We fabricated the MEA by simply sputtering Pt on a commercially-available, porous Ti mesh, and this was directly hot-pressed into the polymer electrolyte membrane and thereby utilized as anodic and cathodic electrodes for PEMFC without any additional processing. The existence of Pt sputtered on the Ti mesh was confirmed via scanning electron microscopy with electron dispersive spectroscopy. In addition, the physical and electrochemical properties of Pt-sputtered Ti mesh were examined via X-ray diffraction and various electrochemical methods. The Pt-sputtered Ti mesh exhibited good catalytic activity toward hydrogen oxidation and oxygen reduction reactions, indicating that this Pt-sputtered Ti mesh can be applied as both electrodes for PEMFC. Finally, we also realized the fuel cell using a Pt-sputtered Ti mesh, and it showed a high open circuit voltage of 0.825 V and peak power density of 3.37 mW/cm2, which confirms its potential applicability to a real PEMFC operating environment. Abstract: Numerous efforts have been made to assess and model the power consumption of machining process, which has led to many standards for energy labeling of machine tools. However, more investigation is required to improve the applicability of these standards because the energy patterns of machines vary widely with respect to the machine type, size, and configuration. Hence, it is aimed to develop a methodology to determine the power consumption characteristics of a wide variety of machine tools. This research focuses on the power consumption of feed drive units, which are largely varying components with respect to machine tool configurations. Two notable phenomena were observed during our experiments. First, the power consumption of an axis in the gravitational direction exhibited a different pattern from that along those of the other axes. Movement in the gravitational direction was investigated in more detail from the perspective of the machine tool configuration. Second, during multi-axis movement, no power correlation between different axes was confirmed. Regardless of the axis composition, no correlation was detected between the individual power consumption profiles of each axis. Elucidating the power consumption characteristics of feed drive units would contribute toward standardization and simplification of power measurement procedures. Abstract: This paper presents a hybrid subtractive–additive remanufacturing oriented topology optimization method. This method provides a design-for-remanufacturing approach, which offer solutions for product upgrade or repair. To be specific, a used part is first machined to remove material, and then additively deposited of materials on top. In this way, either the function of the part is upgraded or the broken part is repaired. Beneficially, the used part is economically and environment-friendly recycled. This method is developed under the level set framework and innovatively, the layer-wise level set representation of the additive manufacturing part is adopted for self-support and material anisotropy control. Especially for the latter point, the hybrid deposition path, a combination of contour-offset and zig–zag path patterns, is adopted for deposition path planning, which will be concurrently optimized for the best material anisotropy distribution. Therefore, what will be presented in this paper is a novel combination of structural topological design and process planning to derive the optimal hybrid remanufacturing strategy. This is a very novel trial and we have performed experiments to verify its effectiveness. Abstract: Poly(lactide-co-glycolide) (PLGA) is one of the most widely used bioplastics in bioengineering and has been actively applied to fused deposition modeling (FDM)-based 3D printing. However, the brittleness of PLGA remains a major obstacle to its application in FDM systems, because these systems can only process flexible materials. Here, we developed a new technique to enhance the flexibility of PLGA. A polymer drawing process involving bidirectional extension was applied to induce molecular alignment, which affects the flexibility of the material. Filamentous forms of PLGA with various draw ratios were prepared and their material properties were investigated in detail. The results showed that PLGA flexibility was markedly increased at the draw ratio of 3, which was identified as the brittle-to-ductile transition point. The elongation at break of the drawn PLGA at this draw ratio was approximately 14 times greater than that of the raw material. Printability tests showed that various complex 3D structures could be fabricated with the drawn PLGA using a FDM system. In addition, the drawn PLGA showed no cytotoxicity in culturing. The technique developed here shows potential for the preparation of long and flexible PLGA filaments for use in FDM technology with biological applicability. Abstract: Accompanying with the extensive applications of micro-structured surfaces on hard and brittle material in MEMS and NEMS sensors, optical elements, electronic devices and medical products, efficiently fabricating of these surface has gradually become the focus of manufacturing community. Basing on precision grinding with conditioned and laser micro-structured coarse-grained diamond grinding wheel, a novel high efficiency technique for micro-structured surfaces on hard and brittle material, such as silicon carbide, was developed in this paper. Firstly, the maximum undeformed chip thickness for conditioned coarse-grained wheel and the ductile grinding of silicon carbide was theoretically and experimentally studied. Silicon carbide surface formed mainly in ductile regime was successfully achieved. And then, the strategy for micro-structuring the conditioned wheel with designed micro-structure geometry, sharp edge and small inclination angle side-wall was investigated. Finally, the linear and square micro-structured surfaces with high form accuracy and ultra-precision surface roughness were successfully and efficiently fabricated on silicon carbide by the technique developed in this paper. Abstract: A simple and effective technique to reduce the overall fuel cell polarization resistance was introduced on a conventionally sintered YSZ electrolyte by creating a hybrid microstructure using low-intensity CO2 laser scanning methods. After laser modification of the YSZ electrolyte surface on the cathode side, the overall polarization resistance was reduced from 513 to 124 Ω cm2, and the maximum power density was increased by 28% from 1.86 to 2.38 mW/cm2 at 450 °C. This improvement was due to the enhanced surface kinetics by higher grain boundary density on the YSZ surface from recrystallization after laser scanning. Abstract: Large energy consumption caused by the pump unloading, as well as the low energy efficiency of the motor, is a serious problem for hydraulic presses especially for the press with multi motor-pumps. By analyzing the energy dissipation characteristic of hydraulic press drive system which is composed of several motor-pumps used to provide energy, an energy-saving design method is developed to reduce the energy loss of the drive system. In this method, pumps are selected from the pump set by minimizing the proposed idling index to reduce the energy loss of motor-pumps in the unloading state. The index is defined as the sum of the product of the unloaded flow and the unloaded time for each stage in a working cycle of the hydraulic press. Then, the motors are selected from the motor set to drive the selected pumps correspondingly by ensuring that the load rate of all the motors is within a setting range for high energy efficiency in as many stages as possible. The method was applied to a 2000-ton rapid sheet tension hydraulic press, and results indicate that 26.97% of energy can be saved in a working cycle. Abstract: Atomic layer deposition (ALD) has recently attracted attention as a technique to synthesize and engineer high-performance catalysts and electrodes for fuel cells. Unique advantages of the ALD process include surface conformality and film uniformity along nano-scale features and the ability to deposit one atom layer or less per deposition cycle, enabling atomic-scale modification of the composition and morphology of the material surface. Many recent reports have demonstrated the effectiveness of the ALD surface modification strategy for the development of novel fuel cell materials. For enhancement of fuel cell performance, development of superior electrocatalytic electrodes is essential as a significant portion of energy loss occurs due to the charge transfer reaction either on the surface of electrodes or at the interfaces between electrodes and electrolytes. Therefore, ALD is considered a key fabrication process to design and engineer high-performance fuel cell systems. This review covers the important recent developments advanced electrode materials for solid oxide fuel cells (SOFCs) provided by the unique abilities of ALD for surface engineering and interface modification. Performance enhancement and related mechanisms are also discussed in depth. Abstract: High cutting temperature will lead to a short tool life and a poor machining quality during titanium alloy machining. High efficiency cooling methods are always required to reduce the cutting temperature. In this paper, heat transfer experimental platform was set up and one-dimension heat transfer model was established to get critical heat flux (CHF) used to evaluate the cooling capacity of the cooling methods. The effect of cold mist jet (CMJ) was evaluated by transient heat transfer tests and titanium alloys cutting experiments, comparing with cold air jet, flood cooling and minimum quantity lubricant. The experimental results revealed that CMJ with a high CHF has a stronger cooling capacity than other cooling methods and has greatly reduced the cutting temperature in high-speed cutting of titanium alloys. And tool life and surface quality have been both improved with CMJ. This paper offered a way for evaluating the cooling effects of different cooling methods with heat transfer experiments. Abstract: Optimal control ideas based on Pontryagin’s Minimum Principle (PMP) have become mature techniques for maximizing the fuel efficiency of Hybrid Electric Vehicles (HEVs) and Plug-in Hybrid Electric Vehicles (PHEVs). The outstanding performance of this control concept has already been verified in many studies, in which the PMP-based control produces optimal solutions that are very close to the global optimal solution obtained by Dynamic Programming (DP). However, the drawback of the control concept is that the PMP-based control will not guarantee optimality if no information about the future driving condition is given. This is not just a drawback of the PMP-based control, but it is an unavoidable limitation in most optimal control concepts. Therefore, previous studies have been focused on finding an optimal costate when the future driving conditions are given or predicted prior to driving. In this study, a methodology that analyzes the past driving pattern and updates the control parameters is proposed by assuming that vehicles are operated under repeated driving conditions. A control parameter, or a costate in the PMP-based control, can be estimated from two parameters that characterize the driving conditions, and the correlation between the costates and the energy consumption patterns is used to update the control parameter. Based on this control concept, the final State of Charge (SOC) at the end of each drive gets gradually closer to the desired value as the driving cycle is repeated. The methodology can be used for vehicles operated under repeated driving patterns, such as commuting buses, parcel delivery vehicles, or refuse collection trucks. 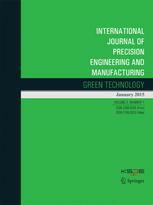 Abstract: In the present investigation an effort has been made to produce Al-Fly ash green composite using liquid state stir casting technique followed by green ultrasonic vibration such that it can improve wettability of fly-ash with aluminium by adding magnesium in the presence of argon gas. Addition of magnesium increases wettability of fly-ash particle in the molten aluminium and improves mechanical properties of Al-Fly ash green composite to a great extent. Incorporation of magnesium enhances the homogeneous allocation of fly ash particles in the pure aluminium alloy. More uniform distribution of Fly ash provides better mechanical properties. In this study, sample of Al/2 wt.% Mg/8 wt.% Fly ash provides most excellent outcome amongst all the selected composition. Microstructures show that the distribution of reinforcements is more uniform in this composition. TEM image shows proper wettability between aluminium and reinforcements. Density, cost estimation, hardness, toughness, ductility and tensile strength were also calculated to observe the result of magnesium and fly ash addition in aluminium matrix. Abstract: Despite of its wide and long-term application for interconnections in the field of microelectronics packaging, a quantitative understanding on the mechanisms of ultrasonic (US) wire bonding is still lacked. In this work, the energy flows from the electrical input energy to the different mechanisms during the US bonding process are quantified based on real-time observations via which the relative motions at the wire/substrate and the wire/tool interfaces can be detected. The relative motions at the two interfaces are proved to be caused by both the continuous plastic deformation and the US vibration. The normal force and US power interdependently affect the relative motion amplitudes. The deduced energy flows show that the energy from the transducer mainly flows to the vibration induced friction at the two interfaces and the microwelds formation, deformation and breakage. Despite of their significance to the process, the other mechanisms receive only little amount of energy. The impacts of the process parameters including normal force, US power and time on the energy flows are quantitatively investigated. A good coupling of the normal force and the US power guides more energy to the formation of microwelds while a long process time would increase the friction induced energy consumption. Abstract: Over the last years, additive manufacturing (AM) has been gathering momentum both in the academic and in the industrial world. Besides the obvious benefits in terms of flexibility and process capabilities, the environmental performance of such processes has still to be properly analyzed. Actually, the advantages of additive manufacturing over conventional processes are not obvious. Indeed, different manufacturing approaches result in different amounts of involved material and in different processing energy demands. Environmental comparative analyses are hence crucial to properly characterize AM processes. In this paper, an energetic comparison between the emerging wire arc additive manufacturing (WAAM) process and a traditional machining-from-bulk solution to produce a steel blade is presented. A methodology accounting for all the material and energy flows of the whole component life cycle is proposed. Experimental measurements and environmental databases are used to quantify the primary energy demand at each stage of the life cycle. The results reveal that, for the analyzed case study, an integrated additive (WAAM)-subtractive manufacturing route enables significant material and primary energy savings with respect to traditionally applied approaches.